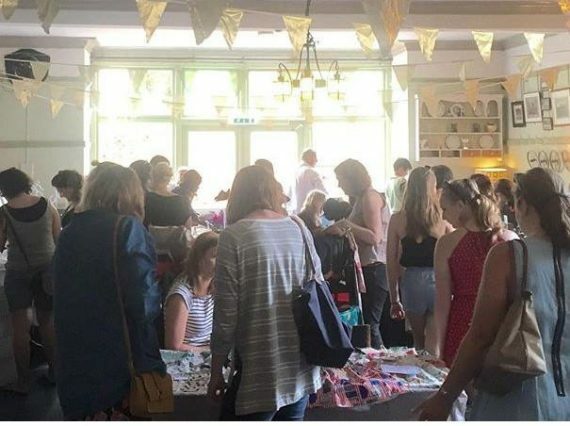 On Sunday 12th March, SoLo Craft Fair return to the beautiful ballroom in the iconic Balham Bowls Club with a craft festival fill with independent traders, musicians and workshops. On Sunday 12th March, SoLo Craft Fair return to the beautiful ballroom in the iconic Balham Bowls Club. Just a stones throw away from Balham High Street, Balham Bowls Club will be transformed into a crafting wonderland, sporting over 25 different handpicked creative stalls, live music, workshops, kids play area and the bar will be serving food and drink all day. The workshops will include a SoLo Craft Fair favourite, Stitch and B*tch session 12-2.30pm. We are also delighted to have I Make Knots teaching guests how to make their own beautiful ‘knotted’ necklaces. Please email us o visit our website for more information on how to book. As always entry is free to the event and there will be free popcorn on offer to everyone.